Q – Are there any effective natural remedies for gingivitis? A – Gingivitis is the earliest stage of gum disease, which if left untreated, can lead to tooth loss. It’s a common dental problem and its symptoms include red, swollen, inflamed gums that may feel tender or bleed when a person brushes their teeth. It’s important to treat gingivitis as soon as it appears and the good news is that there are a number of natural remedies which you can use at home to keep gums healthy. Here’s some options that will help. Salt water is one of the oldest healing remedies and modern research has shown that rinsing the mouth with a saltwater solution can relieve inflamed gums caused by gingivitis. Salt water is antiseptic and anti-inflammatory and it is something that anybody can make and use at home. Add 1 tsp of sea salt to a short tumblerful of boiled water that has been allowed to cool until it is lukewarm. Stir until the salt is dissolved and use switch through and rinse out the mouth before sitting the solution out. When symptoms are acute do this 3 times a day. Shake well before each use and use twice a day to rinse after brushing teeth. Try using coconut oil as an oral rinse to help reducing bacteria, control plaque, fighting tooth decay and gum infection. A traditional method is called ‘oil pulling’ has been shown to reduce plaque and signs of gingivitis when used regularly. Studies have also shown that oil pulling is as effective as chlorohexidine for bad breath. To do this, take a couple of tablespoons of coconut oil, melt in your mouth (this will happen quickly) and then swish the oil through your teeth and around your mouth for 20 minutes before spitting out. No need to rinse afterwards. Probiotics are living microorganisms, principally bacteria that are safe for human consumption and have beneficial effects on human health. Using them to improve dental health is a relatively new area of exploration, though it is increasingly being considered as an answer to the emergence of antibiotic-resistant bacteria. Probiotics incorporated into dairy products were able to neutralise acidic conditions in the mouth and interfere with cariogenic (cavity-causing) bacteria. Patients with periodontal disease who used chewing gum or lozenges containing probiotics saw their periodontal status improve. Probiotics in gargling solutions or gum inhibit the production of volatile sulphur compounds that contribute to bad breath. Previous research has suggested that the probiotic L. reuteri Prodentis can inhibit plaque and have anti-inflammatory and antimicrobial effects that could make it useful in maintain health teeth and gums, though not all studies have found a positive effect. In 2014 scientists found that a probiotic lozenge containing cultures of Lactobacillus rhamnosusGG (LGG) and Bifidobacterium animalis subsp. lactis BB-12 (BB-12) reduced the number of streptococci (bacteria associated with gum disease) in the mouth. Aloe vera is the oldest medicinal plant that has maintained its popularity over the course of time. It is widely known for its medicinal uses in wound healing, as an analgesic, and for its anti-inflammatory properties. 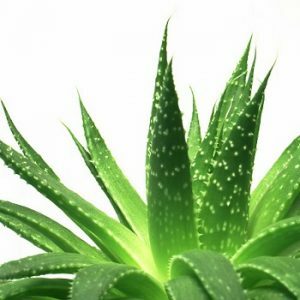 In one 2013 study people who rinsed twice a day with 10ml of aloe vera mouthwash had less inflammation in their gums than those who did not use the aloe. In another 2016 study aloe mouthwash was as effective as 0.2% chlorhexidine in preventing dental plaques. In this study the participants rinsed with 10mls of 100% aloe juice. You can also make a good everyday mouthwash by using 2 parts aloe to 1 part water. Mix as required and use 1-2 times daily. Myrrh’s antiseptic properties make it an excellent mouthwash ingredient to treat infection or inflammation including mouth ulcers, sore throat, bleeding inflamed gums, bad breath and thrush. As a result some natural toothpastes and mouthwashes now incorporate myrrh into their ingredients. You can get the benefits of myrrh by simply adding a 2 drops of the essential oil to 60ml of warm water and use this to swish through your mouth. Do not swallow. Finally… check the ingredients in your toothpaste. Many commercial toothpastes contain harsh detergents which can cause inflamed gums. Ingredients like silica, a common abrasive powder found in toothpaste, s can build up under the surface of the gums causing granulomas – small nodules of inflamed tissue – that can mimic gingivitis. This inflammation can leave the gums more vulnerable to infection. Antibacterials like triclosan are not only irritants they can encourage bacterial resistance, making gingivitis even harder to treat. There are many excellent natural toothpastes on the market some of which include helpful ingredients such as aloe vera and myrrh. Try swapping your old toothpaste for one of these.